Hundreds gathered last week at the University of Maryland, Institute for Genome Sciences(@GenomeScience) for the annual “Frontiers in Genomics” symposium. 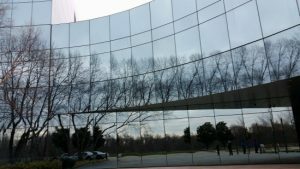 This year was a special occasion as it marked the 10 year anniversary of the Institute, which began with a core group of 50 people from The Institute for Genome Research (TIGR), what is now JCVI, in Rockville, MD. This new Institute would have the responsibility of carrying on a legacy of groundbreaking genomic innovation. After 10 years under a new roof in Baltimore, operating on the foundation of collaboration that has been instilled by the leadership of Director, Claire M. Fraser, Ph.D., they have clearly honored that tradition, and much more. The prominence of IGS was epitomized during an afternoon presentation by Dr John F. Cryan, @jfcryan, Professor & Chair at University College Cork, Ireland (UCC). He began his talk discussing a fishing town called Baltimore, near his home of Cork. The name comes from the Gaelic phrase, ‘Baile an Ti Mhoir’, meaning ‘Town of the big house’. 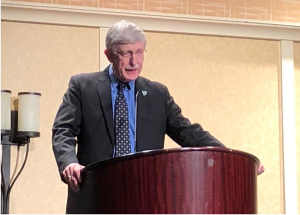 “This has meaning for us all today”, he stated, “as we have come together to share our science and celebrate genomics in Baltimore, Maryland, which is clearly home of the ‘Big House for Genomics’.” IGS’s role in the field of genomics could not have been better captured. 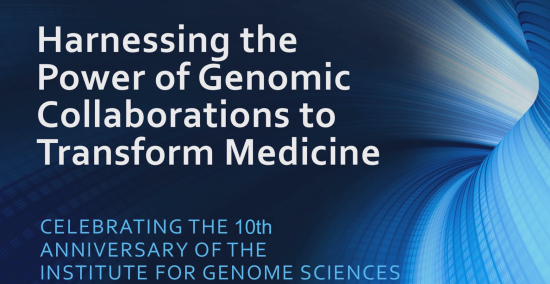 Check out this tribute video for more on what IGS means to the University, and a reflection of the past 10 years of the pursuit of genomic discoveries. For those who are not aware of it’s history, the start of this new Institute in 2007 was pivotal for the University, and for our State to remain ‘The Big House’ in genetics. 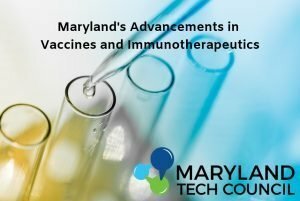 For it was in Maryland that the modern field of genomics emerged during a time where the state was at the epicenter of genomic innovation and picked up the nickname ‘DNA Valley’. It was in 1990 in Montgomery County, MD that the national Human Genome Project (HGP) was started with the moonshot goal of sequencing the whole human genome. The magnitude of what that meant was near science fiction in the minds of many people, but not to the researchers lead by Dr Fraser. She gave them the infrastructure to collaborate and apply multi-disciplinary team science and empowered them to think big. Most importantly though, she challenged them to ask the right questions which is the root of scientific progress and success. This era of revolutionary science was amplified by controversy when TIGR founder, J. Craig Venter, left to start private company Celera Genomics. Celera announced they would compete with the HGP to be the first to deliver a fully sequenced human genome. There was now a race in DNA Valley between public and private research teams to accomplish the remarkable. The HGP was lead by researchers from NIH at what would become National Human Genome Research Institute directed by Dr Francis Collins and at TIGR, lead by President and Director Dr Claire Fraser. However, it was in 1995 that TIGR quickly became the world’s leader in the new field of microbial genomics after a group of investigators, using a new approach, reported on the first complete genome sequence of a free-living organism, and changed the field of microbiology forever. TIGR can take credit for playing a key role in the sequencing and analysis of the first plant species, Arabidopsis thaliana, and the first human-pathogenic parasite, Plasmodium falciparum. By 2000 it was declared that both sides had won, and each produced a working draft of the genome, and a long list of other scientific breakthroughs that further solidified DNA Valley as the place to be to bring forth the future of genetics.